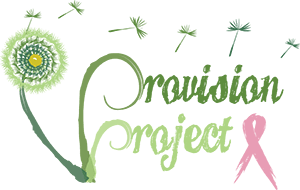 On August 28, 2016, Provision Project hosted our first-ever “Bowling for Boobies” event in Mesa, AZ. 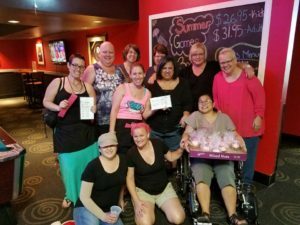 Volunteers got to the AMF Mesa Lanes early to help set up raffle prizes, prayer bears and “booby cupcakes,” all to help raise money for women in active treatment for breast cancer. Then all of a sudden, it happened. It was definitely an “If you build it, they will come” moment for me. Months of planning all came together in about 15 minutes. Families. Kids. Work friends. Breast cancer survivors. They showed up to help. It was a wonderful, heartwarming afternoon. Watching parents teach their littles how to bowl for the first time was so sweet. AMF was terrific in helping set up gutter guards and bowling ramps for children to use. Seeing friends cheering one another on, through good bowling and not-so-good bowling, was so much fun. Meeting the families of breast cancer survivors and seeing them having an afternoon of laughter together was a delight. To all those who sponsored, attended, volunteered and supported our first “Bowling for Boobies” event, thank you. Women fighting breast cancer will benefit from your efforts!